The two previous columns focused on recent proposals about the roles that prediction and intuition play in intelligent thought and behavior. This month’s column will focus on wisdom, one of the rewards we can get from an extended intellectually stimulating life. Elkhonon Goldberg explores the underlying neurobiology of this intriguing concept in his fascinating informative new book, The Paradox of Wisdom: How Your Mind Can Grow Stronger as Your Brain Grows Older (2005). 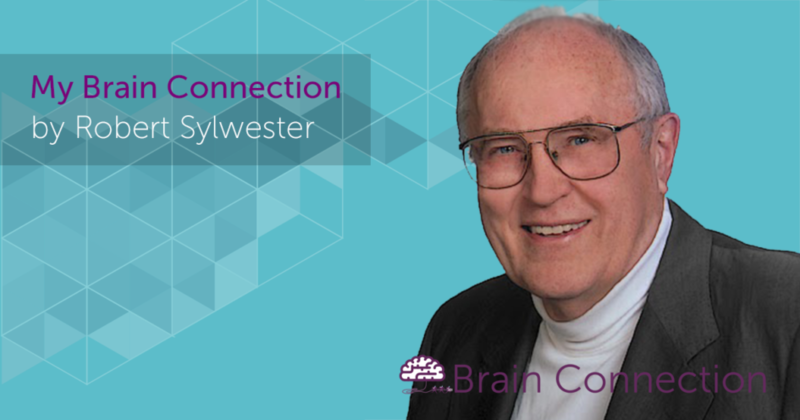 He draws on extensive cognitive neuroscience research and his own experience as a clinical neuropsychologist to propose an optimistic view of cognitive potential throughout life, and especially in the elderly. Goldberg defines wisdom within the context of several interrelated concepts. Talent represents our potential ability to create genuinely novel content or performance, and genius represents its supreme manifestation. Similarly, competence represents our ability to relate new challenges to existing knowledge or skills, and wisdom represents its supreme manifestation. Talent thus suggests promise, competence its realization. Talent and genius are commonly associated with youth, and competence and wisdom with maturity. Albert Einstein exhibited genius at age 26 when he proposed his theories of relativity — but wisdom in his sixties when he advised the US government on issues related to nuclear energy and war. The wisdom paradox is that our potential for wisdom emerges as our body begins its inevitable decline. Aging is thus the price of wisdom, but wisdom itself is priceless to those who achieve it. Where then does wisdom set up housekeeping in an aging brain? Conscious processing systems within the large sheet of cortex folded above and around our brainstem allow us to get beyond innate to intelligent responses when confronting complex challenges. The cortex is divided into quadrants — the sensory and frontal lobes, and the right and left hemispheres. The sensory lobes at the back identify the nature and dynamics of a challenge, and the frontal lobes develop an appropriate response. The purpose of the two highly interconnected hemispheres has long been an enigma, but Goldberg’s intriguing analysis of their distinctive functions explains many mysteries from creativity to the arts to institutional policies to wisdom—and it poses serious challenges to educators. Goldberg suggests that the fundamental organizing principle for the right and left hemispheres emerges out of an important question a brain must ask whenever danger or opportunity looms: Have I confronted this challenge before? 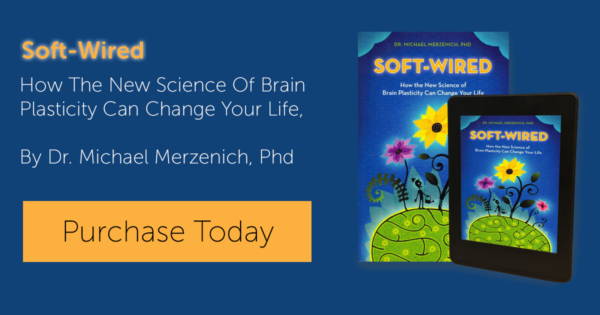 He provides considerable research evidence to argue that the right hemisphere (in most humans) is organized principally to process novel challenges, and the left hemisphere familiar routines. For example we process strange faces principally in our right hemisphere, and familiar faces in the left. Musically naïve people process music principally in their right hemisphere, trained musicians in the left. Goldberg argues that although both hemispheres are active in processing most cognitive functions, the relative level of involvement shifts from the right to the left hemisphere over time, and with increased familiarity and competence. The exploratory right hemisphere is thus organized to rapidly and creatively respond to a novel challenge, but the more stable processing systems in the left hemisphere eventually transform the successful initial responses into an efficient established routine that we activate whenever the challenge (or something close to it) reoccurs. It makes sense. Grammatical language is an efficient established procedure to enhance communication within a socially complex species, so it’s not surprising that considerable left hemisphere space is devoted to it. Dependent infants use whatever non-verbal communication skills they can creatively muster to get needed help, but then happily spend much of their childhood mastering the much more efficient existing cultural language template that’s passed from generation to generation. Learning thus begins with right hemisphere exploration, something often ignored in schools that give students answers to questions they didn’t ask. They thus learn the answer, but don’t really understand the question (or challenge). What occurs within the various processing systems of one brain that’s confronting a novel challenge has an intriguing parallel within a group of brains. Imagine a committee charged with resolving a novel organizational challenge. They must determine its dynamics and then agree on a solution. We typically use the term brainstorming to describe what they initially do, and it’s akin to what occurs within our right hemisphere’s sensory/frontal lobe processing systems. In brainstorming all ideas are initially acceptable, but the discussion will eventually converge on a smaller number of viable explanations and proposals, and finally on a decision. It doesn’t have to be the best decision, just something workable that can achieve consensus. The discussion and decision are then recorded in the minutes (or by extension, stored in our memory or saved to disk). When a similar problem emerges later, the record is retrieved and edited to meet any different circumstances, and those decisions are then saved. This process continues until the committee creates a policy it will automatically follow whenever this problem or a close variant occurs. Think about your own thought processes when confronting a novel challenge, and you can almost sense your brain’s processing systems trying to make up their collective mind. Negative emotions are processed principally in our right hemisphere and positive emotions in the left. It makes sense to be wary about a novel challenge, and positive about a familiar challenge with an existing effective solution. It’s efficient for individuals and organizations to develop effective routines for familiar reoccurring problems. The creative comprehension and resolution of a novel challenge requires much more time and energy, even though the process is intellectually stimulating. As we age we thus tend to develop an increasingly large repertoire of routines that we incorporate into the resolution of a wide variety of challenges. We may come to resent novel challenges, because we lack the requisite energy they require. We thus become set in our ways. The arts and sports have been historically important in all cultures, and Goldberg suggests that their principal purpose is to exercise body and mind. They provide a form of right hemisphere challenge in informal non-threatening settings, so that we’ll be in physical/cognitive shape to tackle analogous real problems when they occur. Young people certainly spend much of their time and energy on play/game activities that prepare them for adult challenges. For example, they seem to intuitively know that they better get on a tricycle at three and begin to master wheels if they intend to drive a car at sixteen. Goldberg argues that such physical and cognitive exercise is equally important later in life. Children prepare for a qualitative life, the aged seek to maintain it. Wisdom emerges in older people who have developed a large repertoire of useful solutions to life’s challenges—and can effectively incorporate them into the resolution of new challenges. Younger people who must live in the here and now typically don’t ascribe wisdom to elders who continually decry the current culture and yearn for the old days. Goldberg proposes the intriguing concept of a cognitive personal trainer (analogous to the personal trainers in physical fitness centers) who can help with what’s here and now in the cognitive life of the elderly. We call them teachers in the early part of our life—folks who can diagnose cognitive needs and guide their resolution. One can imagine that many older folks who suddenly confront a new life in retirement or in infirmity might need help that’s analogous to what they needed when they began a new life in Kindergarten. As our lifespan increases, it will become increasingly important to enhance our cognitive as well as our physical well-being. Goldberg has written an excellent practical book on how we might achieve this. Next month’s column will explore possible educational applications of the three perspectives of intelligence discussed in this and the two previous columns.